Soon to be Imitated, NEVER Duplicated!! This Karata Exclusive Right Side Drive Complete Belt Drive Kit comes in two sizes for 250 and 300 tires. 250 Tire Applications: Big Dog Chopper, Mastiff and Bulldog Models. THE INVISIBLE ELECTRIC START BELT DRIVE! 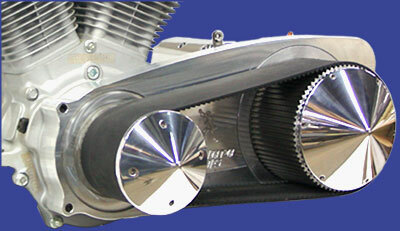 KARATA'S latest INNOVATION in primary belt drives is also the ULTIMATE belt drive for custom motorcycles. The INTIMIDATOR INVISIBLE ELECTRIC START for Baker's Big Dog DSSC Transmissions. The INTIMIDATOR BIG DOG is designed specifically for 250 and 300 Tires in conjuction with BIG DOG Factory Motorcycles and is available only in Right Side Drive (RSD). The INTIMIDATOR BIG DOG will NOT work on stock Transmissions or stock Harley Davidsons. 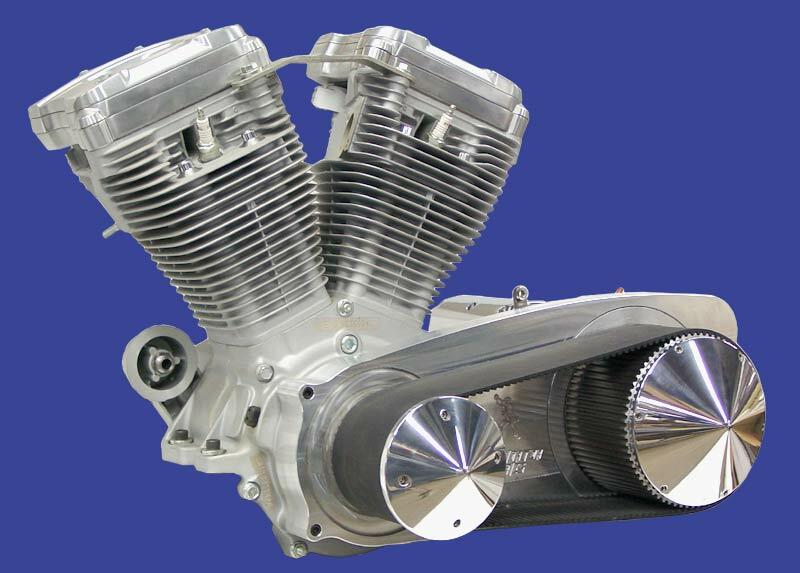 KARATA is the first manufacturer in the industry to offer a dedicated family of Softail/Custom belt drives specifically for custom motorcycles using Right Side Drive (RSD) transmissions. 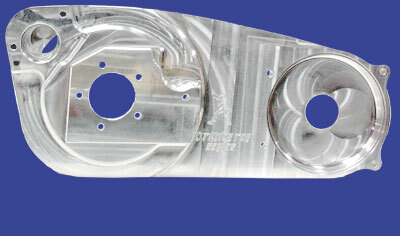 Look closely, and you’ll see that all INTIMIDATOR SERIES primary belt drives that are for RSD applications feature a uniquely-machined motor plate that has no drive belt/chain cut outs. This feature allows for even greater strength and rigidity in addition to setting a new design standard for the industry. KARATA'S outboard bearing support system is included with all 5” INTIMIDATOR SERIES belt drives and is an ideal option for 2 ½", 3” and 4” drives. 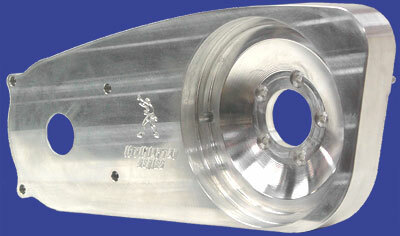 2.5, 3 and 4 inch belt drives include your choice of polished billet pulley covers. See Pulley Covers for styles. 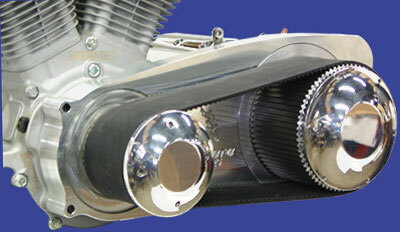 5-inch belt drives include your choice of outboard bearing support kits. See OBSS for details on all bearing support plate styles. Ask about savings when you order your 2 ½", 3” and 4” drives with an OBBS. 250 Tire kit includes 0.500" offset and nut.